What is United Way of the Bradford Area, Inc.? United Way of the Bradford Area (UWBA) is a non-profit organization with the mission of raising and distributing funds for the purpose of community building and enhancing the quality of life in the greater Bradford area. It is staffed by two full-time employees, and governed by a 15-member Board of Directors. Approximately 22 agencies and 30 programs/services receive funding from monies raised during the organization’s annual appeal, which runs from August 15th through December 15th. Why does United Way exist in my community? United Way of the Bradford Area, Inc. was established in 1925 as a Community Chest, based on the premise of combining all drives into “one”; saving time, eliminating waste and permitting efficiency of all charitable and social work in the community. Today, United Way serves the same basic purpose and has also expanded into community impact initiatives. Who decides, and how is that decision made, as to what agencies and programs receive funding from the annual campaign? Non-profit, 501(c)3, health and human service agencies are eligible to apply for funding from the United Way, on an annual and/or quarterly basis (see question below for categories). Request for Proposals (RFPs) are reviewed by committees comprised of UWBA Board members who shoulder the responsibility of assessing community needs and available resources. Each committee’s recommendations are placed in front of the entire board for final vote. Are United Way funded agencies designed to serve only the under-privileged? Monies contributed to United Way of the Bradford Area, Inc. are allocated where they will do the most good for our community. The types of services provided by the funded agencies benefit all kinds of people. It is likely that you, a family member or a friend has received services supported by United Way. If I don’t like one of the agencies funded by the United Way of the Bradford Area, why should I give? It’s important to remember that a contribution to United Way of the Bradford Area supports not just one, but 22 agencies and 30 programs/services in this vicinity. A greater good is accomplished by supporting all of the services that provide daily necessities to those in our local community. How much of my contribution stays in my local community? 100% of your contribution stays in your local community and works toward many ends. Direct program support is provided to health and human service agencies in the local area. The allocation streams have been implemented by UWBA to maximize the impact of the pledges made by our donors. When I’m asked to, what is my guide for giving? United Way of the Bradford Area is exclusive in offering the payroll deduction option for your pledge and subsequent payment. Through payroll deduction, you are eligible to contribute at the “Fair Share” level, which is one hour’s wages per month. You may also donate any dollar amount you feel appropriate. United Way of the Bradford Area accepts and appreciates all monetary support offered, regardless of the amount. It cannot be stressed to our donors enough that it’s not what you give, but that you give. Can I designate my donation to go to another United Way or United Fund? We pride ourselves in knowing and ensuring that all of your donation stays in your local community to support the needs of your family and friends. Having said that, if you work in the Bradford or Smethport areas but do not live here and wish to send your donation to your local (hometown) United Way or United Fund, we will gladly forward it to the proper location! Does the United Way of the Bradford Area pressure residents to give? Absolutely NOT! The staff, Board of Directors and volunteers of the UWBA make it a priority to educate the public on not only this organization, but also on all the agencies and programs which are funded. Pressure tactics, in our opinion, will not provide the positive outcomes that are desired through the annual appeal. We feel it is opportunity to provide assistance to those in need, and make it a point to convey our appreciation for those who choose to donate, but also to those who take the time to listen to our message. Why should I contribute if my spouse or other member of household already does so? It is wonderful that your spouse of family member is offering support to the annual campaign! However, your gift as an individual is important, as well. Many businesses and organizations take pride in their employees’ participation. In that case, your role is an important one! Does the United Way of the Bradford Area have control over the agencies it funds? NO! The agencies and programs which receive funding are separate non-profit organizations run by their board of directors and staff members designated to carry out that agency/program’s specific functions. Those applying for year-round funding from the UWBA do agree to contractual obligations. However, policies, procedures and daily operations are the responsibilities of said agency/program. What are the overhead costs of United Way of the Bradford Area? United Way of the Bradford Area takes pride in maintaining the highest standards and fiscal policies and procedures. With the expertise and diligence of leaders of our organization, the UWBA realizes a 14.5% administrative fee, which enables $.85 of every dollar pledged to go directly to programs in our community. Administrative costs encompass the actual costs involved in maintaining a local presence and conduct the local appeal. Our average is well below the national average. What is the relationship between my local United Way and the United Way Worldwide? United Way of the Bradford Area is a member of the United Way Worldwide, thus requiring us to pay annual membership dues, which are based on campaign revenues. This membership allows for opportunities to utilize the United Way name and branding material, as well as the numerous training sessions and networking possibilities available throughout the year. The membership dues are not taken out of the campaign revenue. Why is Smethport included in United Way of the Bradford Area’s service area? Smethport United Way officially disbanded in October, 2011. At that time, United Way Worldwide assigned the zip codes of the Smethport service area to the United Way of the Bradford Area. Not wanting the agencies in the Smethport area to go without funding, the United Way of the Bradford ran a concurrent campaign for the newly acquired Smethport area from October 2012-January 2013, with the money raised to be distributed in semi-annual grants of $500. The 2013-2014 Smethport Campaign for United Way exceeded it’s goal of $10,000; these funds will be distributed three times through the calendar year (April, July, and October). What agencies received the money raised for the Smethport area? What agencies received the money raised for the Port Allegany area? 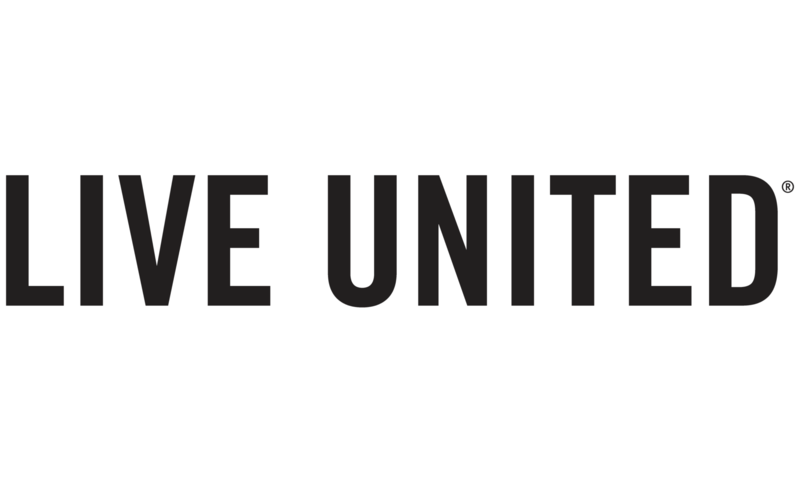 How can I receive help from a United Way agency? Please feel free to contact the United Way of the Bradford Area office by calling 814-368-6181 or emailing info@uwbanews.org. We will gladly refer you to the agency which is best suited to meet your needs or you may reach out to McKean County 2-1-1 by dialing 2-1-1 to speak with a representative whom will also provide you with agencies in the surrounding area.